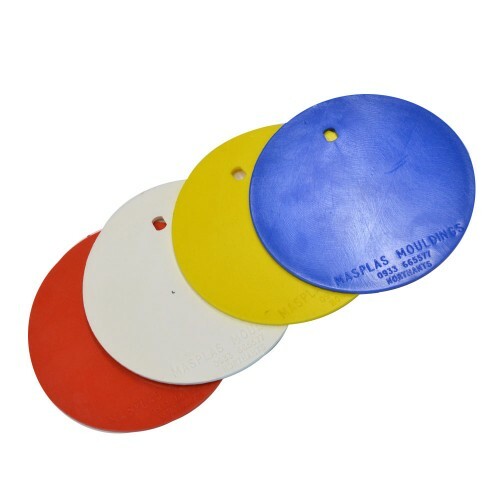 A durable plastic moulded disc, 110mm diameter, to suit our plastic Marker Pegs RRP 366. Clips onto posts on Marker Peg. 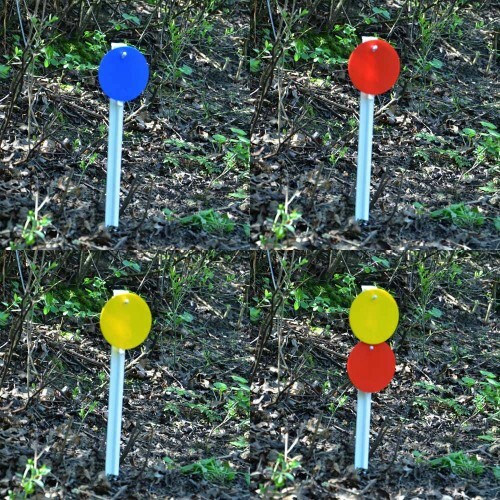 Available in White, Blue, Red or Yellow, please specify in drop-down. 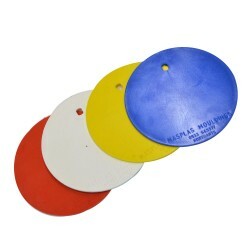 Supplied in boxes of 50 quantity.